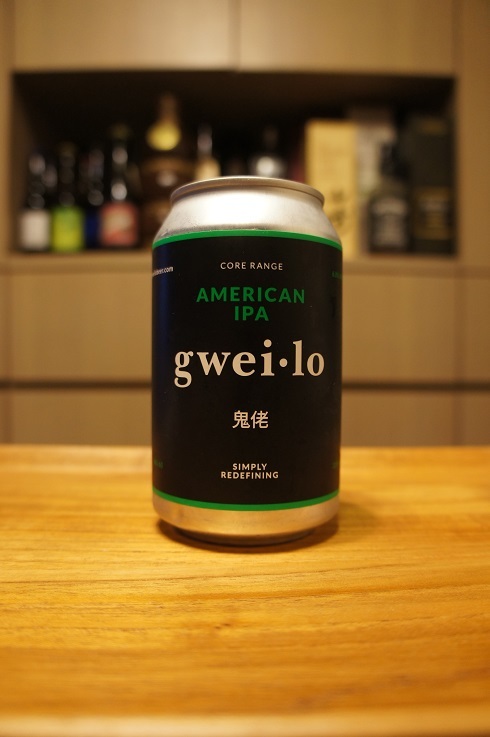 Brewer Description: (from can) Gweilo American IPA is a tropical hop bomb. 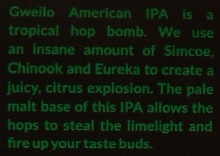 We use an insane amount of Simcoe, Chinook and Eureka to create a juicy, citrus explosion. The pale malt base of this IPA allows the hops to steal the limelight and fire up your taste buds. Intro: A 330ml can, with a best before date of 27th June 2019. Poured into a Spiegelau IPA glass. Appearance: A clear golden orange colour with a just over two finger white head that had good retention and left some nice lacing. Aroma: Light tropical peach, mango, citrus grapefruit, grapefruit rind, orange zest, floral, pine, lemon and grass. Taste: Light biscuit, citrusy, bitter, grapefruit, pine, lemon and grass. Overall: Good aromas with nice bitter and citrusy flavours.